As we have clarified in the article on sales motivation, our brain perceives parting with money as pain. It became known due to the study by Brian Knutson. If the brain finds the correlation between a reward and pain acceptable, a purchase is made. In the article on sales motivation, we have figured out the way to increase the perception of the product’s expected value in order to make the activation of the reward system stronger. In this case, we can raise the very “pain,” i.e. the price. However, not everyone has the opportunity to increase the expected value of the product, or there are some other factors. In the context of this article, the important thing to find out is how to reduce the activation of the insula to increase the probability of purchase this way. 1. Delay the payment. It’s perhaps the most famous option, which, I am sure, almost everyone who is interested in sales has heard of. Think about how you can delay payment. It can be the extension of credit in its various forms. Sell season tickets in installments. This will help you sell more tickets, give you the opportunity to increase their price (especially if you specify the cost of a monthly payment, rather than the full cost for the season), this will make your fans happier. The mechanism that makes this option work successfully is extremely simple: we tend to overestimate what is happening now (including parting with money) and to underestimate what will happen in the future, even if this future is at the end of the week. 2. Use a card or mobile payments. Our conscious mind convinces us that using a card to pay is convenience. But as it is in almost all cases, this explanation simply allows us to convince ourselves that we control our own decisions. It is not only the usability that is behind the high incidence of non-cash payment but also less activated the insula. The researchers at the Massachusetts Institute of Technology Drazen Prelec and Duncan Simester have conducted a well-known experiment demonstrating that we are ready to pay if we don’t use cash. 3. Banner of the Boston Celtics or the Boston Red Sox. Students who paid by credit card in the first case were willing to pay on average 113% more than those auction participants who paid in cash. 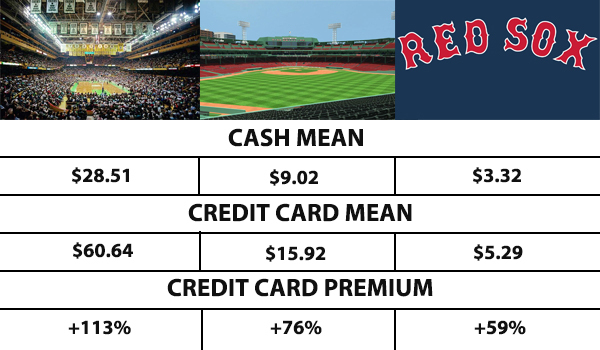 In the case of the MLB game, the difference between payment by credit card and in cash was 76%. In the third case, it was 59%. However, it should be taken into account that Drazen Prelec and Duncan Simester did not obtain this result when they repeated the experiment, this time with a $175 dinner certificate as an auction item. The researchers have come to the conclusion that this feature works only in case of uncertain market value. So motivated to use the credit card, the customers will really have their insula less activated. However, the willingness to pay more using the credit card will be observed when the price of the product is unknown, i.e. the “anchor” is not used. By the way, I have a specific article on how to set the price correctly from the point of view of neuromarketing. Given that in the near future, some countries will completely give up cash, all customers will part with their money more easily. 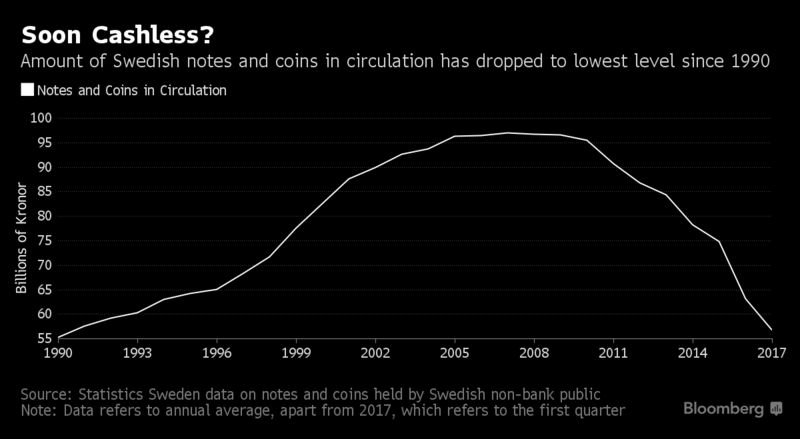 While in the US, cash still occupies a strong position due to drug trafficking, Sweden is getting ready to become the first cashless country. Richard Feinberg from Purdue University in his interview to The New York Times notes that the image of the credit card itself (as well as the logos of payment systems in a restaurant or shop) is the priming which makes you spend more. Mobile payments (like Apple Pay) operate similarly. 3. Bundling. It is considered by many to be a strategy that allows you to sell more, though it has some nuances. Using this strategy incorrectly, you will not only fail to reduce the insula activation but also can seriously damage your brand and sales. Traditionally, it is believed that bundling will help you sell goods and services that are not popular along with popular ones. It is known that in the USSR, this strategy was used the opposite way than they do it now. For you to buy a scarce commodity, they sold it to you in a “bundle” with a commodity that was in abundance. So you had to buy something you didn’t need to gain access to the thing you needed. The market economy would quickly react to this, but the planned economy had its own vision of the situation. I suggest that this point should also include the use of the endowment effect in some form. The endowment effect in behavioral economics is the result of evolutionary psychology. Throughout evolution, we (and other species as well) have had much difficulty gaining things. Our brain is extremely reluctant to waste energy or increase the probability of our death (since the probability of leaving our offspring is reduced in this case), so it hates parting with stuff. In practice, sales specialists have known this for a long time – let the customers hold your goods in their hands, and you will significantly increase the probability of purchase. So the endowment effect is used in bundling as well. For example, if a customer wants to purchase a car and starts with a fully loaded model, refusing additional options, he/she purchases more options than if he/she picked them up starting with the basic configuration. Sport clubs can use the bundling strategy, making up “bundles” of unpopular goods that should be of the same price category. You should never combine goods from different price categories. As Alexander Chernev and Aaron Brough discovered in their study, if bundling combines goods of different price categories, consumers are willing to pay for the entire “bundle” less than for the expensive product from it individually, even if both goods are attractive to the consumer. If you sell a popular product together with an unpopular one of the same price category, there is a high risk of negative association formation (priming), which will transfer from the unpopular product to the popular one. So, you can use bundling either in a way described in the example of car sales (in a sports club, you can, by analogy, sell season tickets with options) or in selling unpopular goods of the same price category in order to get rid of them. 4. Loss aversion. It’s the same endowment effect from the previous point but from the perspective of behavioral economics. As I’ve already written in a separate article, beginning to understand this phenomenon, we see the effect of a number of hormones, which in turn try to preserve for us: 1) the ability to survive; 2) the current status. And this, in turn, is connected with the primary cause of our existence – the reproductive function. Loss aversion states that it is much more important for us to keep $100 than to get new $100. It is the thing you should build your strategy on in your interaction with consumers. 5. Message formulation. Nothing changes our circumstances as much as our perception. Understanding the way the consumer’s perception responds to your message provides you with great opportunities to boost your sales by reducing the insula activation. Scott Rick, Cynthia Cryder, and George Loewenstein have conducted a revealing study for Amazon within the comparison of two types of consumers – the tightwads and the spendthrifts. When seeing the “$5 fee,” the spendthrifts agreed in 39% of cases, whereas the tightwads did in only 8% of them. But as to “a small $5 fee”, the spendthrifts agreed to pay it in 37% of cases, while the tightwads did in 28% of them. Context means a lot for the success of your campaign. As we see, the fee does not determine the spendthrift consumers, but a slight change in the message to tightwads can increase sales by 20%. 6. The anchoring effect is another strategy the success of which is built on the context. Using the context correctly, we get our brain to treat the price better, considering it profitable. Simply put, when you want to sell an expensive product (like wine for $1000), the chances of selling it will go up if you put a bottle for $10,000 next to it. In reality, in this and similar cases, it is more efficient to add a third unprofitable option. This will be called the decoy effect then. In my article on the price formation, I provided an example from MLS Live. We see that MLS not only singled out the “right” choice but also makes it clear that it is the most profitable. And if the comparison of $79.99 yearly and $14.99 monthly does not look so obvious, since it takes you a bit mental calculations, the comparison of $79.99 for the complete package with the ability to watch all the teams and $69.99 for the ability to watch only one team looks quite obvious. The anchoring effect though works even with completely different products. It was shown in the experiments by Daniel Kahneman and Amos Tversky. Drazen Prelec and Dan Ariely continued this research by conducting an excellent experiment with the MIT students. They suggested writing the last two digits of the social security number on the sheet of paper, for a start. Then the students were asked to decide whether they would pay that much if these two figures were the price for a certain product. Then the participants of the experiment took part in an auction. The auctions were conducted with six different products. In the upshot, participants with higher last digits of the social security number were willing to overpay for chocolate on average more than twice as many as participants with low last digits of the number. In the case of an auction with a book on design, this difference approached the triple overpayment, and in the remaining four cases, it exceeded by three times. All six ways listed above to reduce the “pain” in the brain in sales are important to use, but to my mind, it’s better to use the energy and money for their application to improve your brand. A competent approach to the creation and development of your brand will give you the opportunity to pay less attention to the consumer’s brain reaction to the “pain” of the price, and concentrate more on the expected value of the product. The study by Alexander Chernev and Aaron Brough that I’ve mentioned above reveals an important aspect which the scientists highlight: categorization has its limits. During the experiments, they found out that the aspect of the price was leveled by shifting attention to non-price attributes. It is these attributes that create a quality brand. Do you need help in creating such a brand? We will develop a full brand book for you with the most elaborate details on the basis of sports neuromarketing and behavioral economics. We will help you with its further implementation and provide follow-up support. Send us an E-mail to leon@sportsneuromarketing.com, and we will respond within 24 hours.